Last fall, Sorin Popa from Brasov, Romania was getting a new canine member into their family. 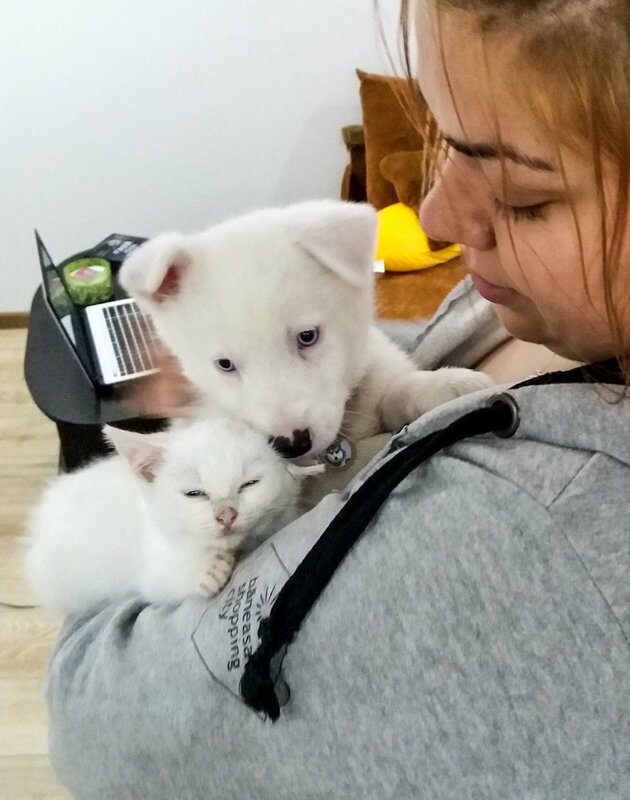 “We thought to adopt a cat from a local shelter so the puppy could have a friend,” Sorin told Love Meow. 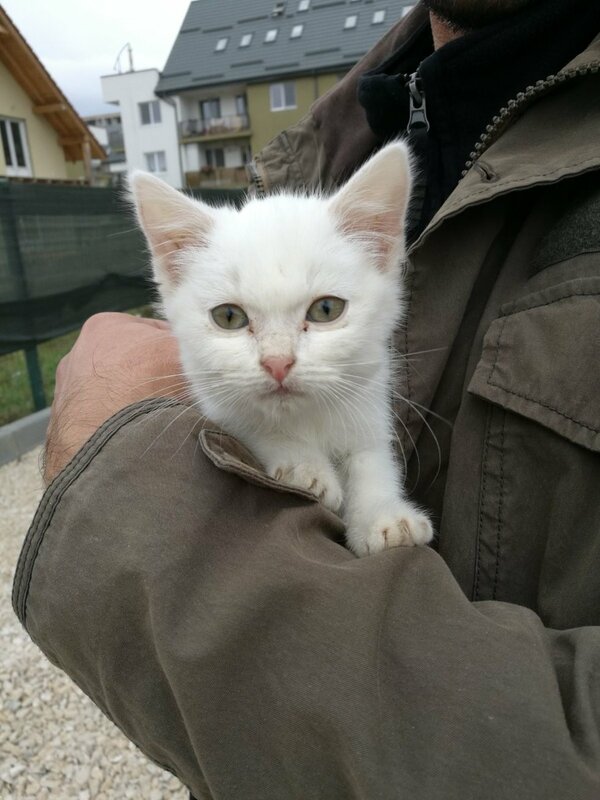 When they were about to move into their new apartment, Sorin’s sister called about a tiny stray kitten found near a construction site. 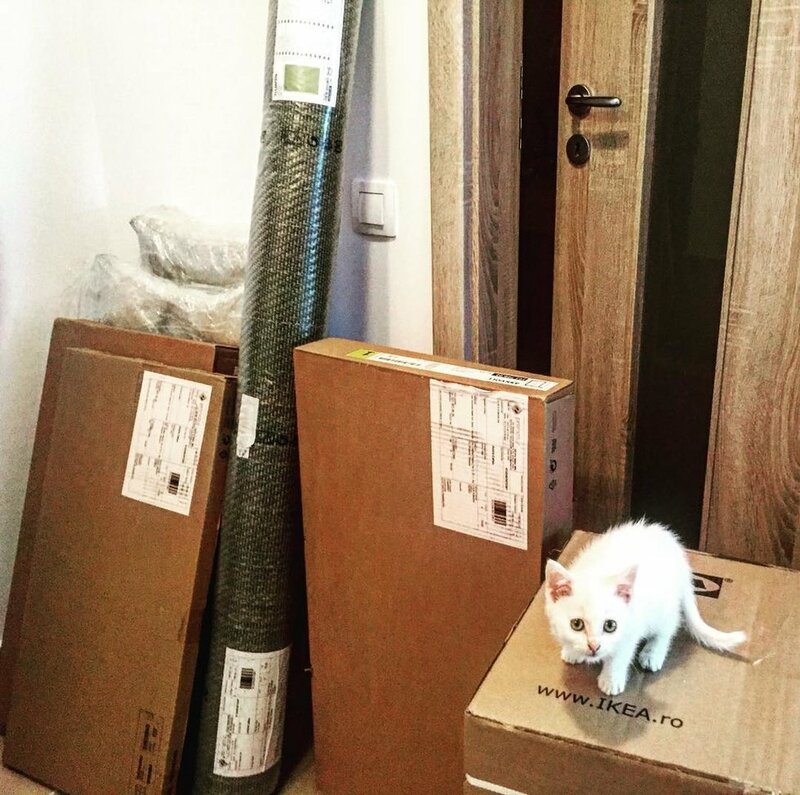 The kitty needed a home, and Sorin’s family was looking for a cat. 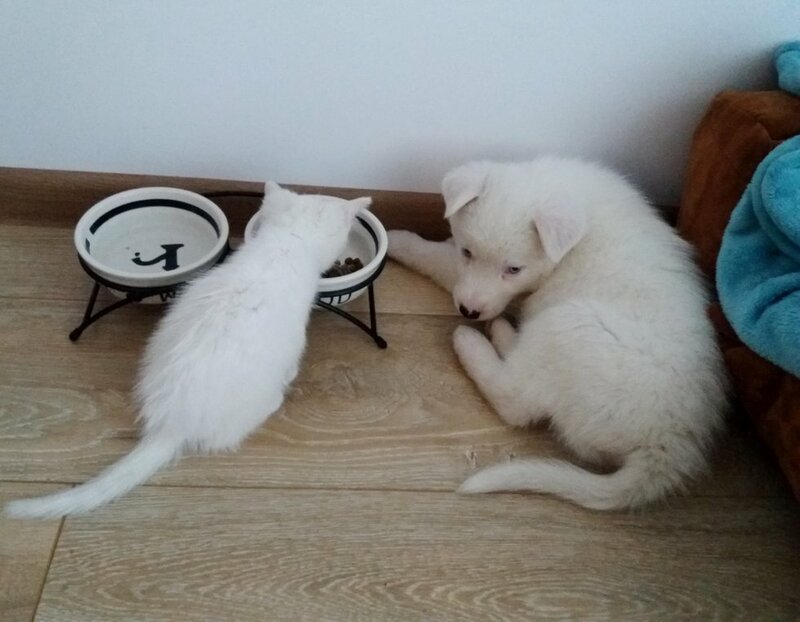 “The second day, they started to smell each other but kept a little distance until we filled Dante’s bowl with water, and Aby ran straight there to drink his water even though hers was full,” Sorin told Love Meow. 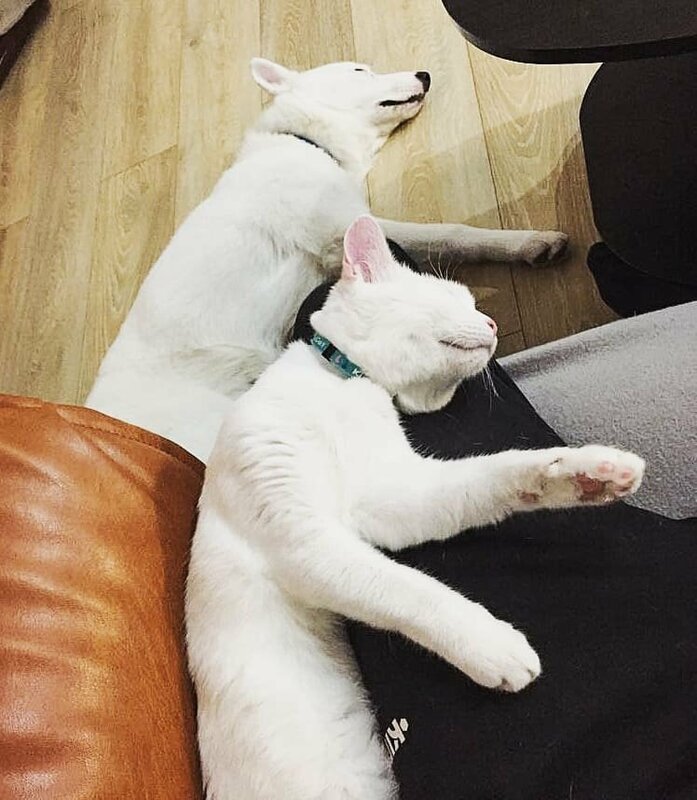 Dante loves to imitate whatever his feline sister is doing. “He wants to play with whatever the kitty is playing, and he wants to sit wherever she is sitting,” Sorin added.